The construction industry is a fascinating place to spend a career. The wide variety of projects, new and retrofits, provides a constant challenge. An architect colleague once commented, "A construction project is like General Motors coming to your front yard, dropping parts, hiring labor that may never have worked together and building a car on location instead of at the factory. How the building comes together and works at occupancy time is a great feat of human cooperation." In the last 20 years, our economy has become increasingly global. Competition in each industry, including automotive, computers, electronics, component parts and construction products, has forced firms to become more competitive in order to survive. Building construction is no different. Firms are now searching the world for places to build manufacturing, warehousing, customer service, engineering and headquarters facilities, instead of just the United States. Economists call this process the optimization of resources. When it comes to finances, personnel, products and ideas, we all seek the lowest cost for the value received. This economic optimization process has made the passion to be the best and most economical a key focus of firms worldwide. The economic optimization process has had a profound effect on firms’ decision-making behavior. The concept has had successes as well as some stumbling blocks to address along the way. Some firms have over-optimized economy in design and production of finished products causing failures. Remember the Ford Pinto’s exploding gas tanks in the ’70s, Corvair’s rear-end configuration that caused rollover problems in the ’60s, and the resulting loss of life from each of these events due to parts that turned out to be over-optimized. Remember general auto quality in the early ’80s, when we were driven to overseas auto manufacturers for our new cars? Short-term profits from each of these manufacturing and/or design optimizations all caused massive loss of long-term gains in shareholder value, sacrificed while trying to save money. Over-optimizing can be a disaster, while under-optimizing can result in products that are not competitively priced in world markets. There has to be a balance somewhere between optimization for competitive reasons, and safety in the finished product or system. In the automotive industry, end-users respond quickly to rotten engineering or parts in cars by showing up at the dealer’s service departments with complaints. Data is gathered on each vehicle to find sub-par performing parts from the dealer level straight to the manufacturer through incident reports online. The information sends an alarm flag through the firm’s product stewardship process, and a search-and-destroy mission is launched to find and repair the problem, whatever it may be. In the manufacturing environment, this process moves efficiently as the distribution channels are clearly identified and tied into the quality process. "In construction, and in particular, fire protection, feedback mechanisms aren’t in place as they exist in the automotive industry, and aren’t quick to discover defects and communicate to the manufacturing process the need for repair of the design or part. Cars are driven daily, and serviced in tightly franchised dealerships when relatively new, with excellent quality tracking mechanisms," said Bob LeClair, president of the Firestop Contractors International Association (FCIA). "In the construction industry, where fire protection systems are designed by one firm, tested by another, installed by a third party, and inspected by yet another organization, each operation has a separate, independent objective for profit." That’s the key difference between the construction and the automotive industries. Although several parts of the car are made elsewhere by independent manufacturers, the auto manufacturing industry sets tight standards and has included the supply chain in the quality process, as it has its own final assembly programs. In construction, the quality process is not fully developed once a product produced under an ISO 9000-certified process leaves the factory and moves through the distribution channels to the supplier. For instance, there are few regulations imposed by manufacturers or regulations that track lot numbers on product. Without lot number tracking, search-and-destroy missions for defective parts are quite difficult, if not impossible. "Do we really want to expose people to fire and smoke risks in order to find out that an optimization program didn’t work in an actual fire condition, in addition to the fact that the defective part/product cannot be found in a building?" asked Ray Usher, FCIA vice president. This is especially true in construction as there are several profit centers located on the same project, which may or may not be coordinated well. And, quality programs like ISO 9000 have not yet made it to the construction markets at the general contractor and subcontractor levels. Multi-ply built-up roofing to single-ply and modified bitumen membrane roofs, with trends pointing back to multi-ply built-up systems. Using fire-resistance rated drywall assemblies and a bead of firestopping sealant around a 4-inch PVC drain, waste or vent pipe penetrations in chase walls through fire-resistance rated floor assemblies in timber frame construction eliminates the need for "intumescent collar" firestop systems in floor applications. There has been a call to remove these systems that can be misapplied or push the envelope on safety requirements. Reducing thicknesses of firestopping sealants installed ¼- to ½-inch thick to a very thin 1/16-inch spray-applied product may mean little margin for error in firestop perimeter gaps, expansion joints and piping systems. Adding sprinklers to buildings, then eliminating the use of fire-resistance rated construction and effective compartmentation. Although codes have allowed significant trade-offs for automatic sprinkler protection, basic research by leaders at the U.S. Department of Commerce, National Institute of Standards and Technology (NIST) has called for more redundancy to fire protection design. 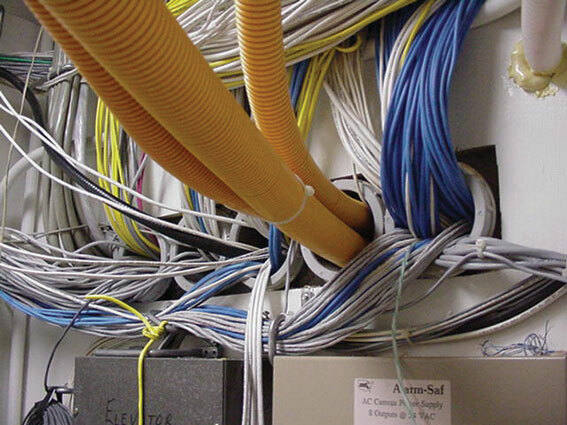 For many of these optimized systems, "A single component’s performance is critical to the safety of almost all other components in the structure," according to Aedan Gleeson, FCIA accreditation chair and past president. "If one part of a system has a weakness, complete failure may result due to the over-optimization of systems." The margin for error, or safety factor, may not exist when the economic optimization process is used to its limit. Everything has to work without flaw for the single system to be functional and perform as intended. That may be fine in a manufacturing environment where quality processes and control of input/output are monitored and maintained with an excellent communication chain, with few profit centers involved, but not necessarily in the construction environment. "In the construction industry, the final assembly location is someone’s front yard, a construction site, whether urban or remote, not a controlled factory environment," said Gleeson. "And most of the construction industry has not yet embraced the quality process at the subcontracting and final installation levels-where the installed system is most critical. We deal with ‘construction tolerances’ in our industry, which may not be engineered into the original design." Therefore, when designing systems for life-safety protection of a building, does it really make sense to fully optimize in the fire protection systems? Is it worth a few dollars if fire and life safety is at risk? Statistics show low loss of life and good fire performance of office buildings based on construction design with significant redundancy (fire-resistance rated, plus detection, alarms, sprinklers). A National Fire Protection Association (NFPA) study on high-rise building fires, covering office occupancies from 1985 to 1998, showed that high-rises in the United States had low fatality rates in fire situations. Most buildings where these statistics were derived were built with some effective compartmentation in floors and walls, and rated structural protection. Some fires occurred in old buildings as well. The LaSalle Bank office building fire in Chicago had fire burning for more than five hours before extending to the next floor above. And, the structure below and above the fire floor remained structurally sound and was reoccupied shortly after the fire mess was cleaned. Buildings in the new codes may not have the same degree of effective compartmentation and structural protection, yet still meet minimum regulatory requirements. Building owners may choose to build structures beyond the minimum required. However, faced with budgets, many may prefer to invest in what sells space-features visible to the visitor and occupant-flooring, wall coverings, glass and hardware. "The question is, how far do we want to push the envelope with optimization of building construction systems when it comes to fire and life safety, property protection and continuity of operations in a built environment?" said LeClair. Codes dictate a minimum level of safety and performance requirements in buildings. Sprinkler systems have been used as a trade-off to significantly reduce the hourly fire-resistance ratings of floors, walls and structural components. Notwithstanding the benefits of sprinkler systems, the optimization process used to set requirements for fire-resistance rated assemblies may have gone too far toward optimization of these important fire and smoke barriers and structural protection, removing necessary layers of redundancy in buildings. Buildings constructed in much of the United States in the past 50 years used effective compartmentation and structural fire protection, plus detection and alarm systems and sprinkler systems, as their fire protection methods for defending a structure from fire and life-safety risks. To bring the three model codes together from the United States into the International Building Code, the new code could not, immediately upon adoption, put many buildings into non-compliance. Therefore, the lowest requirement for effective compartmentation and structural protection, where sprinkler systems were used as a "trade-off," was accepted as the primary source of protection for buildings in the United States. To justify the high-level International Code Council (ICC) board’s paradigm shift in code philosophy, statistics for sprinkler performance were used as a basis for the change. At the ICC Code Committee hearings in Cincinnati this February, it was cited that NFPA reported fatalities from 1985 to 1998 as only 39 in 14 years in business/high-rise occupancies. From 1994 to 1998 NFPA reported that there were no fatalities in hotels and motels with sprinkler systems where they operated. In 1985, there were 70 to 80 fire deaths in the United States in other occupancies. In 1998, fire deaths were down to 37. This is clearly an indication that the combination of effective compartmentation, detection and alarms, plus occupant education and sprinkler systems, were making headway in fire protection in the United States. According to NFPA fire loss data, the combination of various fire protection systems have reduced fire deaths overall. These statistics consist of buildings constructed using effective compartmentation as well as structural protection, detection and alarm systems, occupant education and sprinkler suppression systems. New codes have recognized the success of fire protection, but removed an important part of protection-effective compartmentation and structural protection through height and area tables that now allow for larger spaces without either type of protection. What new fire loss statistics will this new generation of building-without effective compartmentation and structural protection-bring to our society? According to Scott Rankin, Pyro-Stop LLC, a Philadelphia-based firestopping contractor, sprinkler systems are said to perform with a reliability of 95 to 99 percent, when activated. That’s an impressive statistic. However, Richard Bukowski of NIST said at the Chicago Council on High Rise Buildings Fire Safety Seminar, "There is a call for risk-informed regulation for extreme events ? and layers of protection and redundancy, robustness in construction are needed in today’s post-9/11 world." Additionally, the perception of risk post-9/11 is heightened more than ever. Lessons were learned when the twin World Trade Center towers fell-people may not stay in place as instructed during fire events, instead jamming stairwells while simultaneous evacuation takes place. Would a building constructed under the new codes withstand the attack experienced at the LaSalle Bank building in Chicago, if the sprinkler system doesn’t respond, is out of service for maintenance, disabled by vandals or obstructed by building occupants? The LaSalle Bank building burned five and a half hours unchecked by sprinkler systems before spreading to the next floor, while the tower in Madrid, Spain, recently was a total loss. Certainly construction types are different in each building. However, even during extreme fire attack, the LaSalle Bank building supported several floors above the fire, protecting people and property. People waiting in the compartmented structure stayed put until rescued by firefighting personnel, some for an entire hour. Without effective compartmentation, fires can move fast if not checked by firefighters or sprinkler systems, creating risks that may not have existed before. Fire and smoke resistance-rated effective compartmentation serves a dual purpose in buildings. Not only does it separate areas from one another for various uses, it also provides havens of safety from fire and smoke while escaping a building where fire and smoke threatens occupants. Corridors, once considered the safe place to be in a building, are no longer resistance-rated to protect occupants in many types of buildings under the new code. This, plus the hundreds of other trade-offs where sprinkler systems have displaced effective compartmentation and structural protection, may change the dynamics of how buildings perform in the future under fire attack. As responsible industry participants, whether contractor or architect, the end-user occupant, building owner and manager, we must inform the public about the risk of construction design optimization. The general public needs to understand the new dynamics in buildings today, and respond accordingly. Fire drills with simultaneous evacuation of most occupancies, education about building protection fire and life-safety features plus their role in personal safety, are all important topics for education. Building owners and occupants must also be made aware of the particular features that protect them while exiting a building, while a sprinkler system is operating. Codes may be seen by some as the pinnacle of construction. However, codes are actually the minimum benchmark level of safety for occupants. Therefore, a design professional and building owner may consider using systems that provide integrity, continuity and fire protection over and above what is required by code. Maybe it means adding effective compartmentation and firestopping to more areas of the building than is required by code. Since the extra cost of compartmentation is minimal during initial construction, why not install it then? "We mostly design walls in schools to be fire-resistance rated, and extend them all the way to the ceiling to provide the client flexibility in the use of the space over the life of the structure," said one Chicago-area architect. "And, since the extra cost of compartmentation is minimal during initial construction, why not install it now, and add the safety up front? Plus, we never know when the building owner will change the occupancy, requiring the walls to become rated." For instance, in buildings with ½-inch to 5/8-inch gypsum board wall assemblies, the additional fee for fire-resistance rated gypsum board is minimal, if any. All that typically changes is the stud pattern, fastening and extension of the wall through the drop ceiling to the floor above for continuity. Firestopping, fire dampers and fire doors are then installed to retain the effective compartmentation ratings. In buildings, this amounts to very minimal cost as the labor is already expended installing less-expensive components. Gypsum walls, doors, ductwork and other components are installed anyway. And, once installed, continual maintenance of these items can be reasonable if managed professionally through building operations, renovation planning and coordination. 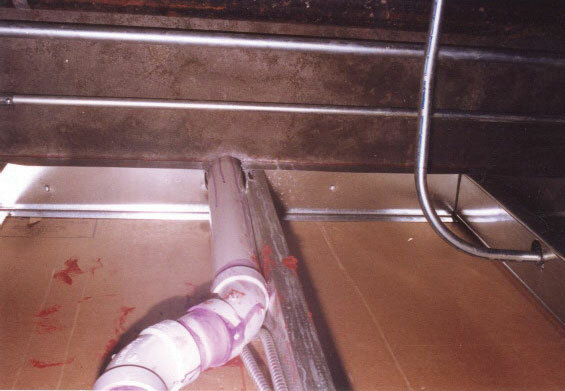 By upgrading to a fire-resistance rated floor assembly firestop system with an intumescent firestop collar system rather than the "caulk-and-walk" systems, fire protection of the element is accomplished individually, and not by guesswork. Not relying on another fire-rated element (a rated wall) when making life-safety choices makes more sense, as each item should stand on its own merit when it comes to safety. Intumescent firestop collar systems, which do not rely on firewall integrity, provide a much greater degree of protection to the occupant through reliable performance at the floor fire barrier, regardless of fire-resistance rated wall performance. Or, use the thicker depth firestop system in caulk-only designs on metal or insulated pipe designs. "Even consider silicone sealant-based firestop systems when water threat from rain is possible, for maximum washout protection," said FCIA’s Technical Committee Chair Mike Dominguez, Firestop Specialties Inc., Miami. "In the sealant designs, since much of the cost of the installation is labor, there really isn’t a huge extra charge to move into washout-resistance sealant systems." The minimum to meet code requirements may not be the best solution for the owner or public safety. Redundant, back-up systems have been a part of the space shuttle, World Trade Center and Disney World. Why not life-safety items we rely on everyday in lesser-known structures? Redundancy works for airplanes, as we know four engines are better than three, three better than two, etc. And in roofs, four-ply may be better than two-ply, lasting longer with more protection from hail and traffic damage and abuse. Don’t we need protection using life-safety items such as firestops, fireproofing, fire damper assemblies, automatic fire sprinklers, fire alarms and other fire protection items? We should not have to make significant choices, such as either/or, in such an important area as fire and life safety. Does all this optimization work in a true fire condition, without each item relying on another fire-resistance rated element? Have we optimized too far in fire and life safety? These very questions are being discussed as International Building Code and NFPA 5000 debates continue. There are significant trade-offs made (reduction in use of effective compartmentation and structural protection) when active fire protection systems are used in buildings under the new code. Revisions to these new sprinkler trade-offs to balance the approach to fire safety are already being discussed by government, industry and the building community. "Both active and passive protection systems are needed to maintain life-safety standards in today’s buildings," said LeClair. Building firestop systems to protect pipes, expansion joints and perimeter gaps in buildings is different than building a test assembly in a heated, indoor laboratory. 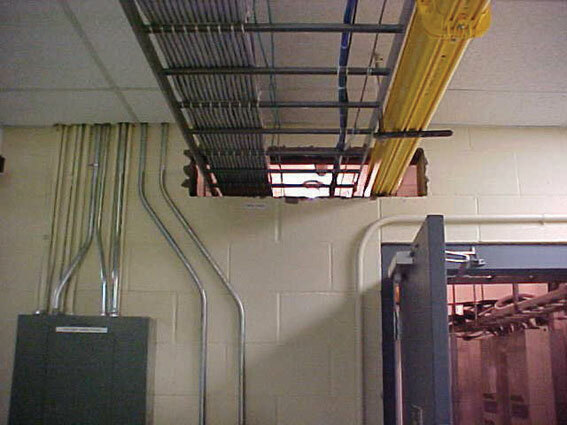 Over-optimizing can cause a life-safety risk by not allowing the field labor force room for error. The margin of error could be the constant creation of new penetrations in fire-resistance rated assemblies after construction, active system troubles or maintenance. Building codes provide guidelines to the designer on the minimum acceptable requirement for building construction in a geographic area by building usage and type. Building occupants expect that buildings are completely safe for them to occupy, and to exit if needed. Too much optimizing can cause life-safety risks as we push the envelope of material technology’s limits to remain competitive with our building costs globally. More important, do we want actuaries deciding our fate in a fire, as we’re trapped in a single exit room or dead-end hallway due to optimized design? Do we want to become a mathematical risk calculation or have a safe way out? With the labor quality of life-safety firestop systems installation in mind and trying to meet ever-tightening tolerances in the construction industry, the Firestop Contractors International Association has developed a Firestopping Quality Process (FQP). The FQP is comprised of a contractor approval program-FM 4991, much like a manufacturers ISO 9000 program, but tailored to firestopping contractors, coupled with independent inspection to ASTM standards E2174 for penetrations and E2393 for joints. (See related article on page 30.) The quality protocol is a system that together optimizes cost while maximizing quality. Both pieces are needed to have a complete quality process. Whether it’s active or passive fire protection systems, introducing quality programs to the industry, or promoting a more balanced approach to life safety, thought must be given to these optimization issues. Optimizing life-safety systems, to some degree, is needed to keep our buildings competitive in the world market. However, being too aggressive compromises life safety. Which building (school, office, high rise, hospital, hotel) would you rather be resting in, the one highly optimized for maximum profit or something with a bit more of a margin for error should something go wrong? Design and regulatory professionals should take the time to really think through the fire-protection plan and incorporate a viable strategy for us to get out, quickly if we need to, in the event of fire or other accidental or extreme event. They should take the time to design effective compartmentation systems to protect us if we can’t evacuate immediately. And, since we’re talking about fire and life-safety systems, perhaps the construction industry should consider going beyond the basic code requirements. Apex Firestop, Houston, Texas, applies composite sheet to an opening. Firestopping won’t be easy here. Call a specialist. Optimized "caulk-and-walk" systems used in construction may not be installed to tight tested and listed system tolerances.